Can you hear your caravan whispering “Port Vincent” to you? It knows this is the perfect beach location for it to rest up during your stay on Yorke Peninsula. 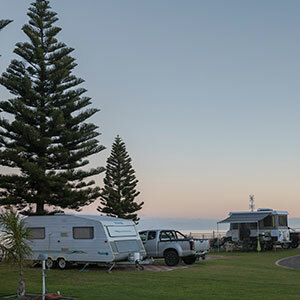 Less than three hours on the road from Adelaide and you are here, where you can unhitch your van and leave it safely parked on a clean, powered site, while you freely explore the many, many options available to visitors around these parts. If you are a blogger, sharing your journey with the world, give us a mention and I am sure Mark will have no trouble rustling up a thank you drink! Dogs allowed on leash- in caravan park and four budget cabins (by arrangement) all year round! 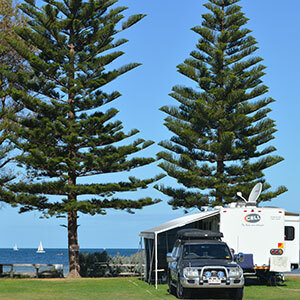 Please let us know upon booking, if you have a camper trailer or tent and we do not allow flooring or matting on the grass in your caravan annex. We love our grass and would like to keep it lush and green for everyone. 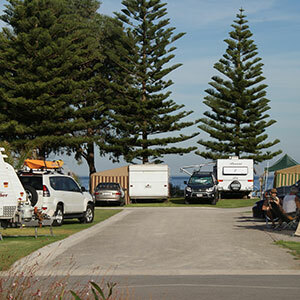 We think that just about provides all the necessary ingredients for a memorable caravan holiday. Now it is up for you to come and judge it for yourself. Please phone to book or email an enquiry. Pricing is on our rates page.